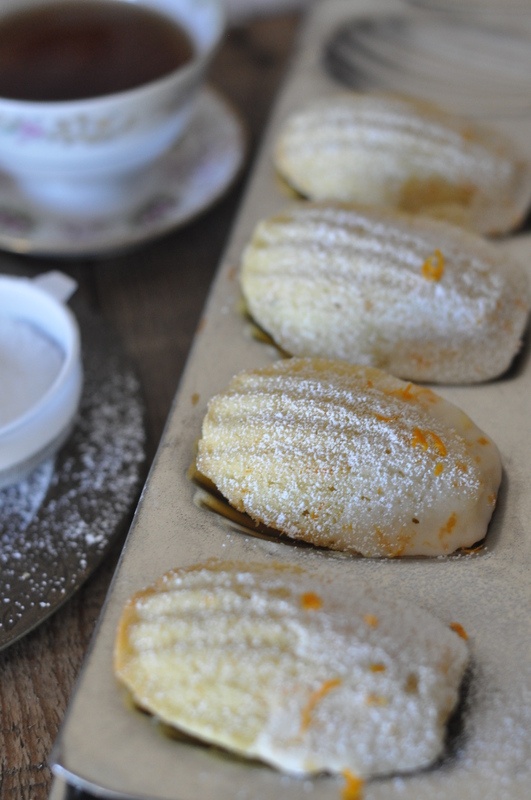 This week I was inspired to make madeleines and I blame it on Starbucks. If you haven’t noticed, Starbucks carry packages of madeleines that they place right by the register. Every time I pay for my coffee I see them, but have actually never tried them before, so I can’t say how good (or bad) they taste. 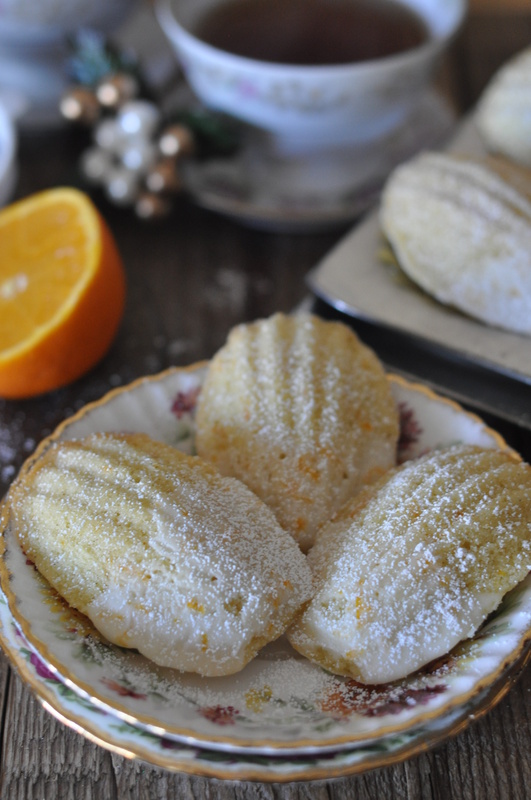 Madeleines are pretty easy to make and I love the spongey-cakey texture. Similar to food and wine pairing I believe desserts are the same way. Certain desserts just taste better with tea, coffee, or milk. 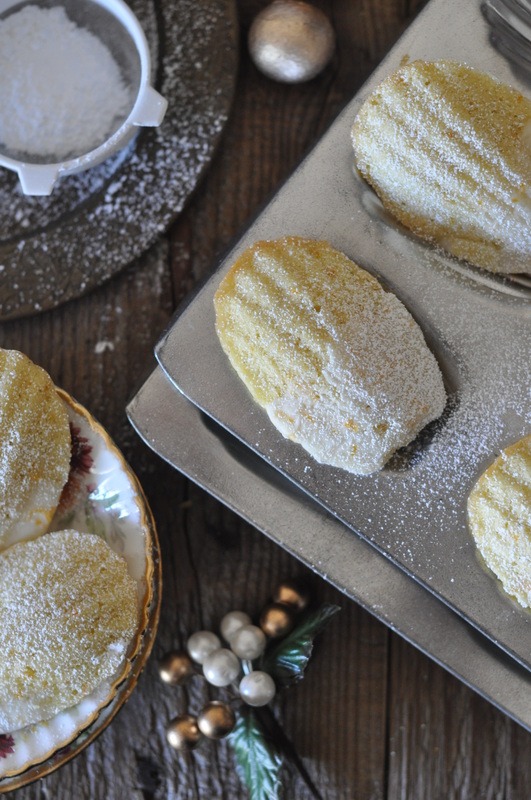 And for me, madeleines just taste better with a good ol’ cup of hot tea….keep in mind, I’m usually not a big tea person, but I’ll take tea over coffee with my madeleine. 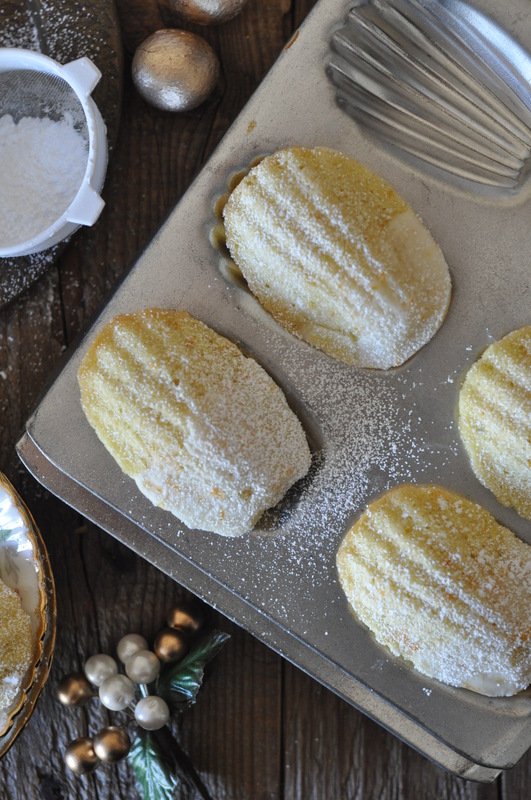 These can be versatile, in that you can flavor madeleines quite easily. For a basic flavor, use vanilla, or add zest for a tangy flavor, or glaze them for an extra umph of sweetness. In a bowl, combine flour and baking powder. Set aside. Whisk together eggs, sugar, salt, and orange zest until light and fluffy. Add the dry ingredients in three additions, mixing until just incorporated after each addition. Scrap down the sides of the bowl as needed. Add melted butter last. Mix to incorporate. Let batter rest in the refrigerator for about 30 minutes. Spray madeleine pan with non-stick spray. Carefully pipe batter into pan. Bake at 330F for 12-13 minutes, rotate halfway through. Combine 1 cup of powdered sugar, 1 tablespoon of milk and zest. Whisk to combine. Adjust powdered sugar and milk ratio as needed until desired consistency is reached. 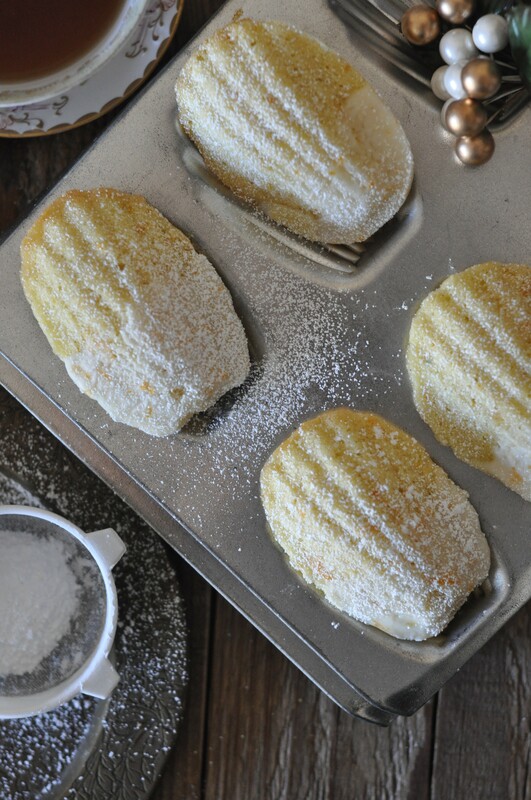 Glaze should be smooth and thin enough to dip madeleines in. If glaze is too thin and doesn’t coat, thicken by adding more powdered sugar. Keep madeleines in an airtight container at room temperature.